Some of the smallest mobile operators in the U.S. have lined up behind a deal that would dramatically expand the country’s fourth-largest carrier, a twist that has everything to do with the national dominance of AT&T and Verizon Wireless. On Tuesday, the Rural Telecommunications Group cheered approvals of the planned T-Mobile-MetroPCS merger by the Federal Communications Commission and the Department of Justice. Both agencies said they don’t expect the combination to hurt competition even though it would create a larger T-Mobile with about 42 million subscribers, up from 33 million today. That’s fine with the RTG, even though its members have fewer than 100,000 subscribers each. “By combining forces, T-Mobile and MetroPCS will have the capital and spectrum resources to create a thriving, LTE-based nationwide competitor to AT&T Inc. and Verizon Wireless,” the group said in a written statement attributed to General Counsel Carri Bennet. 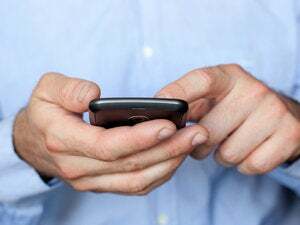 It’s not the first time the RTG has backed efforts against the two biggest carriers, which the group has accused of “spectrum hoarding” and “price gouging” on roaming charges. The group has also opposed Verizon’s purchase of spectrum from cable operators and called for spectrum caps that would keep any one carrier from owning more than 25 percent of the frequencies in a given area. Among other things, the RTG wants more competition for roaming agreements, which small, regional carriers need in order to offer their subscribers the promise of service outside the local area. “While industry consolidation is generally considered a threat to consumer choice, this union between two maverick mobile carriers gives consumers a glimmer of hope that the new T-Mobile will carry forward the banners of consumer choice, common-sense spectrum utilization and commercially reasonable roaming relationships,” Bennet wrote. The RTG also supports Japanese conglomerate Softbank’s proposed takeover of Sprint Nextel, the country’s third-largest mobile operator with about 55 million subscribers. Both AT&T and Verizon Wireless serve in the neighborhood of 100 million wireless connections. After the FCC announced its approval of the merger on Monday, the Justice Department’s Antitrust Division issued its own conclusion on the proposal. The DOJ’s approval was signaled last week when a waiting period for the agency to object to the deal ended without action. The DOJ said the merger was unlikely to hurt competition for a variety of reasons. For one thing, MetroPCS by itself hasn’t been a national factor affecting pricing and other competitive factors because it doesn’t operate on a national basis, the department said. Like the rural carriers, the DOJ also saw a potential stronger rival to the biggest carriers. “Finally, the proposed combination of T-Mobile and MetroPCS may have a procompetitive impact in that it improves T-Mobile’s scale and spectrum position,” the Justice Department wrote. The merger still needs approval by MetroPCS shareholders, who are scheduled to vote on April 12.